If you are searching for free websites like Grammarly then you are a perfect place because today I will show you some of the best free Grammarly alternatives which every online worker should try once for sure. Grammarly is one of the best free online grammar checkers we have but as we all know Grammarly charge for their features and some people can't pay this much so then we need some sites like Grammarly or apps like Grammarly which we can use freely. These days people have started to be interested in writing blogs, there can be many reasons for this, that someone can have this hobby, someone can have this passion, then someone can earn money. But we get to see that many times we write Grammar related mistakes while writing blogs. And due to these Grammar Mistakes, there is a negative impact on the reader which is not a good thing for the blog writer. That's why we all want tools for free grammar check to remove the Grammer Mistakes from our blog. Currently, grammarly is the best grammar checker tool we have. Still, people keep finding it for a free online grammar checker. Probably the main reason for it is that it may be too expensive for people's budget. That's why I am going to tell you about 10 alternative to Grammarly but cheap and useful for you. So I recommend you to try these free websites like Grammarly once and then after trying all of these once then select anyone for your grammar corrector. Lots of people write Grammarly reviews and tell you the advantages of this and keep saying that this is the best grammar checker or you should try this etc because they want you to join Grammarly with their referral link so that they can earn the commission. But here I'm, I am not going to tell you that go buy Grammarly pack, according to me you should try these all websites like Grammarly for free and then decide according to you if these Grammarly competitors worth your time then use these for free instead of spending dollars on Grammarly. This tool is just amazing and one of the best Grammarly alternatives. Ginger is very popular amongst school teachers, students, and blog writers. This is the best tool for grammar corrector. It is very easy to use for its customer. It detects error mistake and highlights them. Use Editor box for writing or paste your content into it, then hit the check button and it will show you your grammar mistakes. The ginger tool can translate language into other 40 languages. It has Text reader feature for punctuation. The only drawback is that it does not have plagiarism feature. It has two version one is free and other is premium version. This tool is available for Android, ios, Windows, chrome, safari, and Mac. devices. 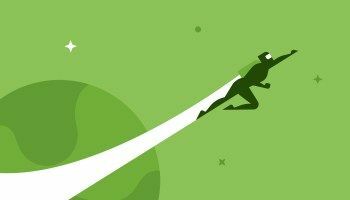 Jetpack is one of the best free online grammar checkers I have ever used like and it deserves a place in our list of websites like Grammarly for sure. 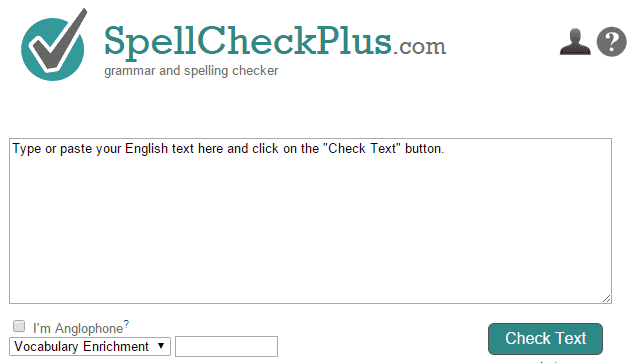 You can use this tool for spelling and grammar mistake checker. Jetpack is a WordPress plugin. You can improve your writing skill by using this tool or plugin. It is very useful tool to check grammar mistakes in your blog. It comes in the list of Grammarly competitors. After installing the jetpack plugin, start writing or just paste the content and then click on the icon and you will get your mistakes. This tool offers more benefit like tracking traffic on your site, free theme, improve security, and many more benefits. 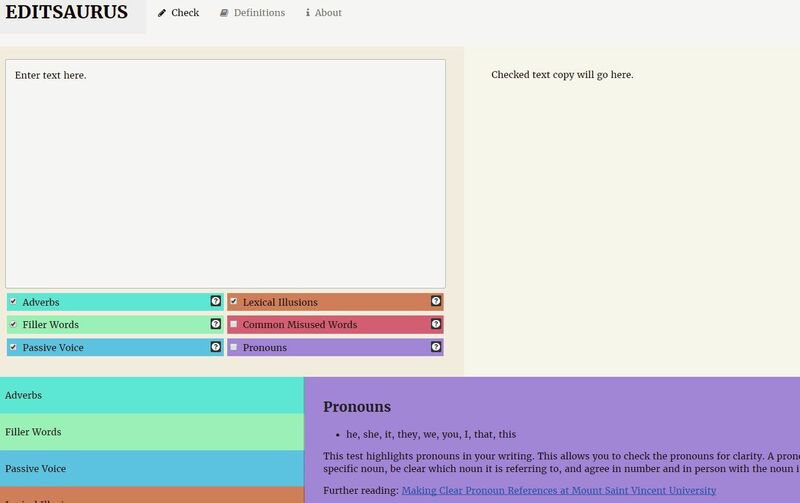 In this tool, you can't make your personal dictionary. In this tool, you can't select English style like US, UK, CANADA etc. This tool can improve your writing skill. This tool is free of cost so it is also useful for your budget also. It is available for Android device. 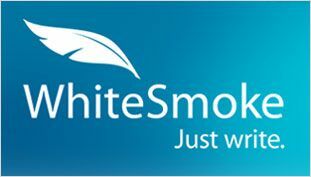 If we talk about free alternatives to Grammarly then we can't Miss White smoke because of its so excellent features. You can find errors related to grammar or punctuation. It is very useful tool for people who love to write a blog. It is indeed a famous tool. This tool contains more than 100 writing templates such as condolences, thank you, report resume etc. This tool is probably highest accurate checker amongst top 10 Grammarly alternatives. White smoke support 55 languages. White smoke checks 15 different areas like fragments, punctuation, tense etc. White smoke is very useful for build up your vocabulary. White smoke also offers plagiarism for check copy content. This tool also offers video tutorial related to the grammar for your better learning and improve your writing skill. White smoke is available for all devices and has lots of things like Grammarly. Paper Rater is one of the best apps like Grammarly in present days. It's very similar to Grammarly. Paper Rater works on computer algorithms which are named as grendal. It can improve your writing skill. It is very useful for writing blog. 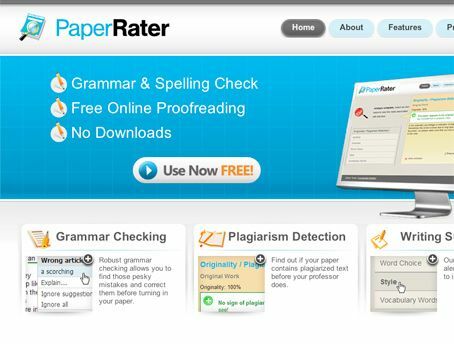 If you are searching for programs like Grammarly then you should try paper rater once. Visit their proofreader and grammar checker, then put the text in the box and you will get the complete information about grammar errors. Grammar mistake word will be underlined in paper rater. Paper rater also offers plagiarism checker. It is very useful in vocabulary building. If you want to add free paper rater than you will pay for it. The paper rater free version has limitations. Paper rater proofreader is a bit complex. This tool has no extension for the desktop version. The paper rater is available for Android, ios, chrome, and windows. SLICK write has a variety of features that make it unique from all other websites like Grammarly for free. This is also similar to Grammarly. It is also very easy and useful in writing a correct blog. You can use editor box for writing text or paste the content and hit the checker button so you will get a report about mistake words or grammar. It will point out any type of Grammarly mistake. Slick write has multiple integrated options. It has Wikipedia and Google option for giving more information. You can increase readability of your article. 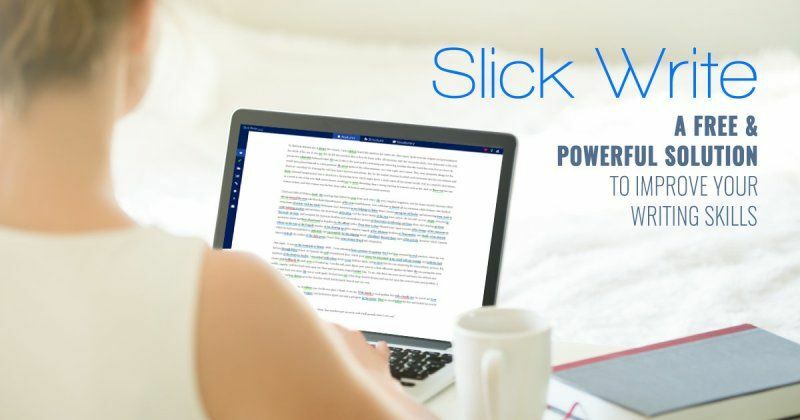 Slick write is available for all devices and one of the best Grammarly alternative for sure. This alternative to Grammarly is very unique and different. It can improve your writing skill. It is very popular tool amongst people working online. Heming way is very useful in writing blog. Heming way can improve your readability. This tool is available in online and desktop version. For checking grammar mistakes in this tool, you can just go to their website and paste your text. They will show you report of all your grammar mistakes. This tool is free for the online version and $20 for the desktop version. Editsaurus is just amazing and fast than other free Grammarly alternatives. It is also similar to Grammarly and simple to use. Its speed is good and can improve your writing skills. And again it is very useful for those who love to write. It will improve your grammar and vocabulary. You can use their editor box and then just paste or write your content for the grammar check. 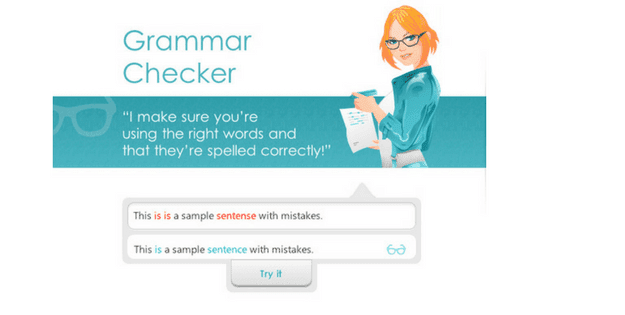 It is one of the perfect sites like Grammarly you can use to online grammar check. It is available for all devices. This is the top alternative to Grammarly. Its features are also useful for your blog writing. It will improve your writing skills. You can just use their website for checking errors. This tool also offers plagiarism checker. You just paste or write content in their editor box and then just hit the check button. 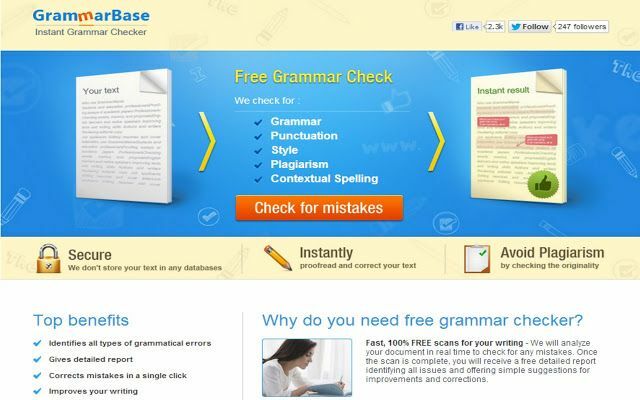 Grammar base tool is one of the best websites like Grammarly but free of cost. This is the best tool for spelling checking. You can check any spelling with the help of this tool. This is also a Grammarly competitor. It is easy to use and very useful for writing blog. It is completely free and easy to use. This tool is very useful in building up your vocabulary. It is available for Android, windows, chrome devices. It is web-based proofreading tool. It is also one of the best sites like Grammarly. It is an English translator tool. It is very useful in writing blogs. Reverso can check 600 characters at a time. To use this tool, go to their website and paste or write content and just hit the check button. It is very useful In building up your vocabulary. It doesn't have the ability to find advance mistakes. These are some of the best Grammarly alternatives you can use right now for free. 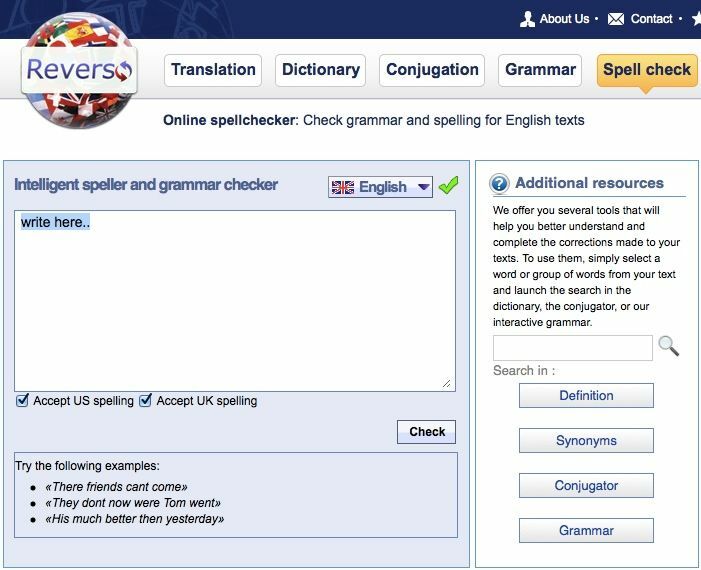 I'm sure you have some more websites like Grammarly or apps like Grammarly which I have missed in this list of the free online grammar checker. 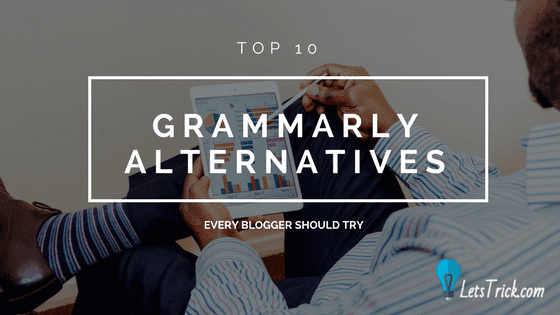 So please comment below and let me know few more Grammarly alternative which deserves to be on this list. And also let us know which your favorite alternative to Grammarly? If you think these free sites like Grammarly can help your friends then please share this with your friends and family to make them feel confident with their English.